Irizar (UK) is to offer a lifeline to operators of Euro V Integral coaches, making them usable without a fee in the London ULEZ being phased-in from next April. 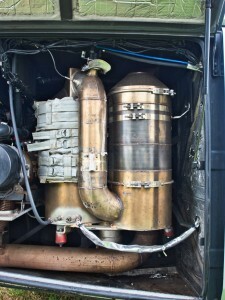 The London Ultra Low Emissions Zone, and Clean Air Zones proposed in towns and cities across the country have had a knock-on effect: they have devalued older coaches to the extent that many operators cannot bridge the gap between their existing vehicles and new Euro VI compliant replacements. 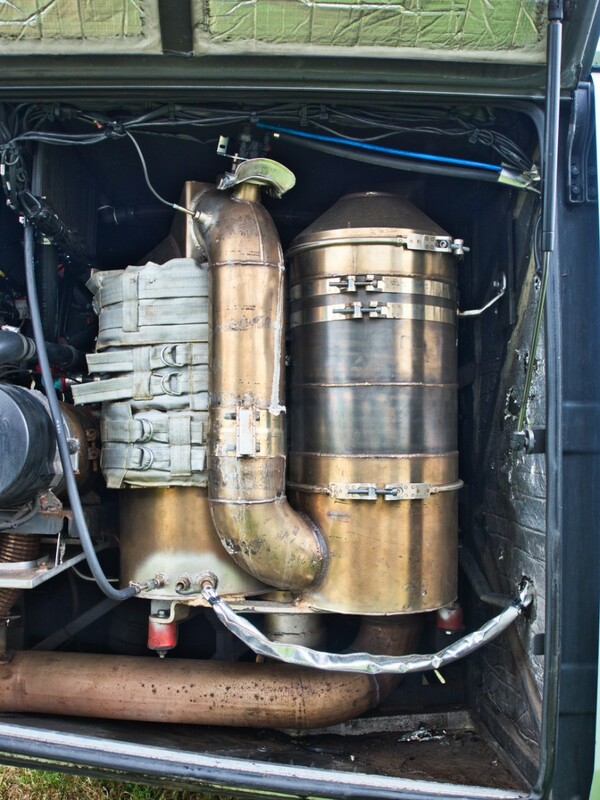 Irizar has teamed up with British exhaust treatment specialist GreenUrban Technologies to produce a retrofit system for the 100+ Irizar Integrals which use the PR265 engine. GreenUrban has ‘underwritten’ the system’s ability to be certified, when the certifying process is launched. The GreenUrban system replaces the existing SCR catalyst with a new catalyst with greater cell density and a precious metal coating which allows higher dosages of AdBlue to ensure maximum NOx conversion without ammonia slip. The enhanced system is operated by the existing vehicle CANbus network, which is unaltered. NOx inputs and outputs are monitored across the SCR unit, to ensure that the vehicle conforms to Euro VI limits while in service. Particulate and unburned hydrocarbon emissions are minimised with the addition of a diesel particulate filter and diesel oxidation catalyst. This features a silicon carbide element, rather than the more usual ceramic filter. The silicon carbide component can withstand much higher temperatures than a ceramic unit and has a precious metal coating which triggers passive regeneration at relatively low temperatures, making it suitable for urban and low-load applications. Harmful emissions are reduced by up to 95%. Following approval of the GreenUrban system, retrofitted Irizar Integral coaches can be certified by the DVSA, which will then notify Transport for London and the other local regulatory authorities.